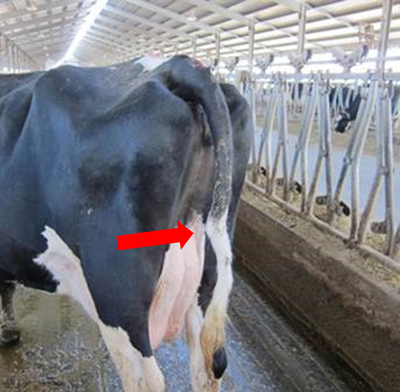 Broken tails can result from improper handling. 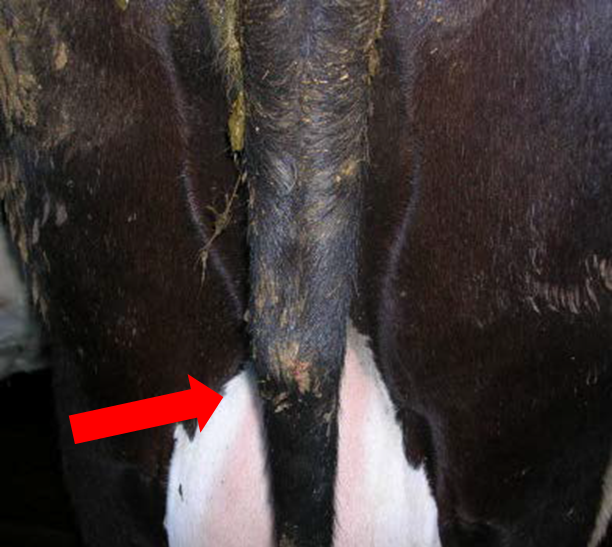 Breaks often are present near the base of the tail due to extreme force when applying a tail twist or jack for restraint. 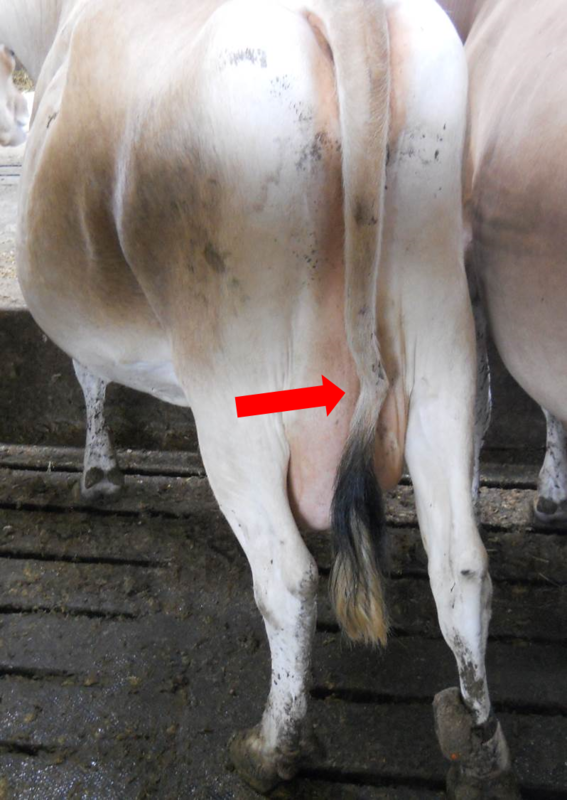 They can also appear mid-length or at the tip of the tail due to bending the tail over other structures in an attempt to restrain the cow. ​This instructional video by the University of Saskatchewan demonstrates the proper way to apply a tail twist. 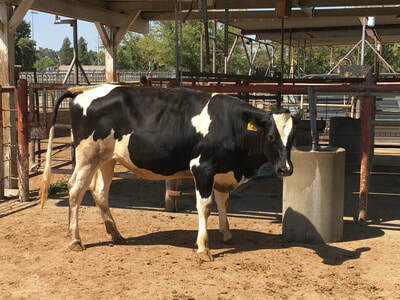 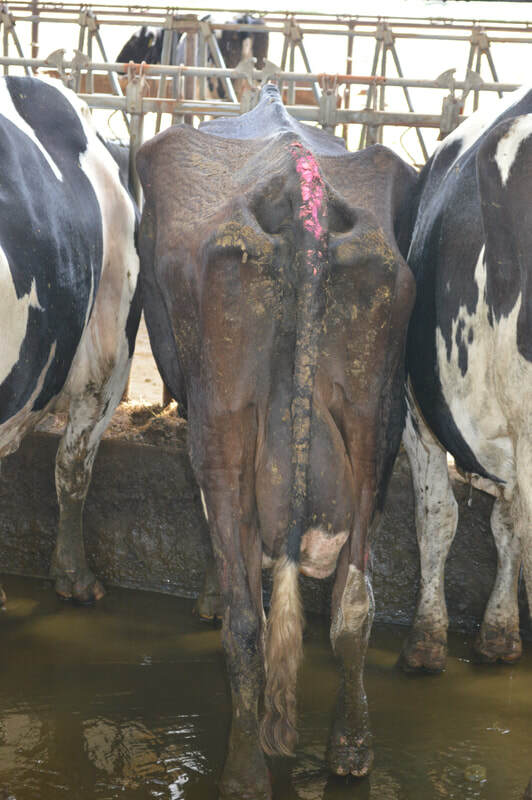 If this is a follow-up evaluation and broken tails were previously found, look for evidence of new or recently broken tails in the first lactation heifer pen. 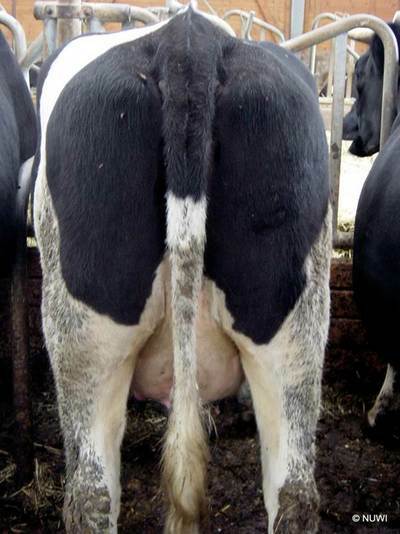 ​The number to assess in each group is determined by the sample size calculator.